One of C3Centricity’s annual traditions is to publish a post which shares the best marketing infographics of the previous twelve months. Here is this year’s crop, with ideas on how you can get inspired to take action in your own marketing. Interestingly, many marketing infographics that have been shared in the past year are actually about content marketing. It’s as if “true/traditional” marketing doesn’t exist any more. That in itself says a lot about the focus of marketers these days! Are they right to do so? I don’t think so, but let me know your opinion. In the same way that new media channels were separated from traditional channels for a while. it seems that content marketing has also been separated from traditional marketing. This is wrong from my perspective, because content marketing has always existed, whether through communications on pack, in advertising or more recently on websites. Anyway, here is this year’s crop of the best marketing infographics around. If yours is not among them then please add a link to your preference in the comments below. 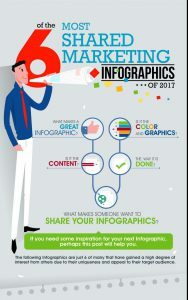 It makes sense that I start this post by taking a look at the most shared marketing infographics of last year. What is great about this post is that it is itself an infographic! It explains what makes a shareabale infographic. Take a look at the six most shared posts and draw inspiration from their ideas, to create your own. 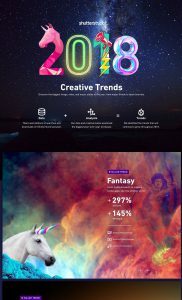 This infographic summarises beautifully the trends for the coming year. Check your own site against these images and if you find yours lacking in any way then an update should be planned – sooner rather than later! If you work globally then you already know that while we are all human beings, we are not all the same. 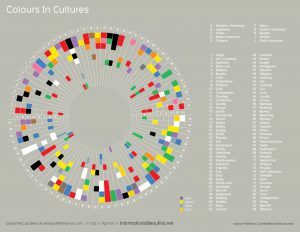 This is particularly true in terms of our associations with colour. These differences come from a wide variety of sources; from tradition, to history and even from the impact of the most popular brands. So it is important that if you are responsible for a brand globally, or sometimes even regionally, that you understand the nuances in interpretation of your brand’s pack and communication by the colours used. 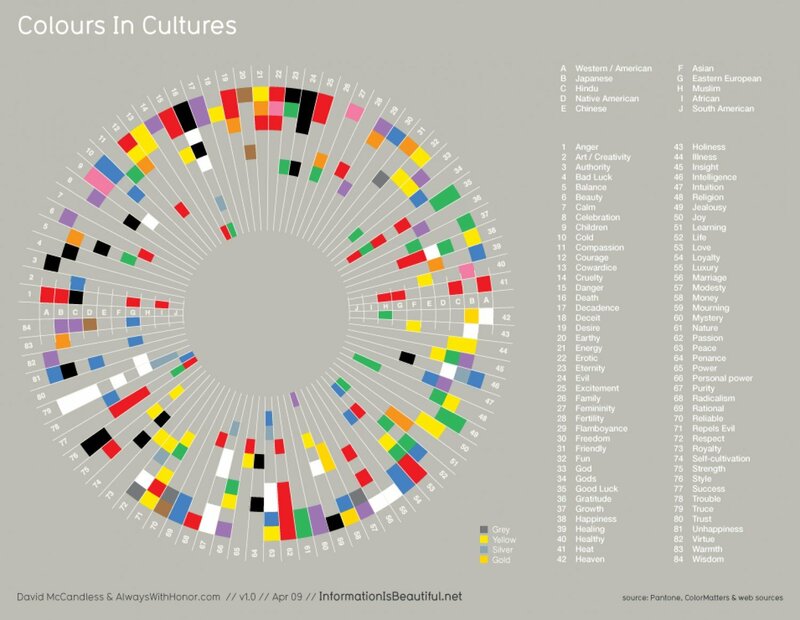 This infographic, while it may seem complex at first view, will become your best friend once you understand how to look at it. 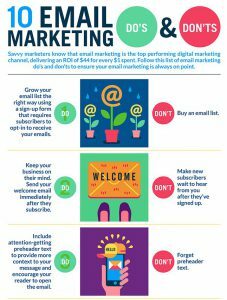 This is a small but useful graphic – I don’t think it is “officially” an infographic but I’ve used the term widely as you have seen – that explains the differing uses of content in marketing. 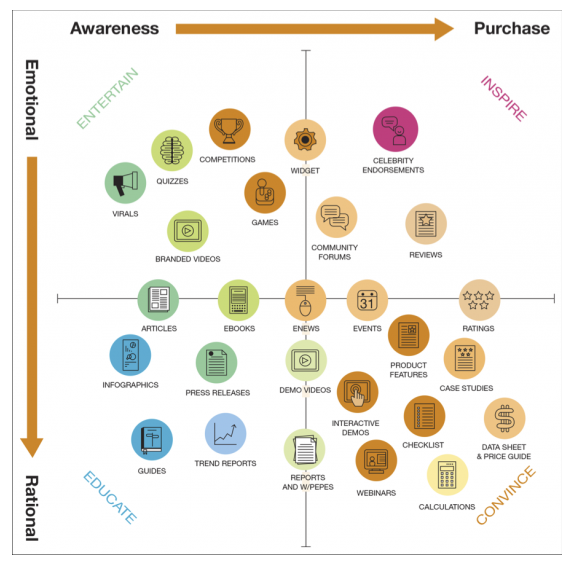 What I find particularly useful about this graphic is that it splits content between emotional and rational, as well as between whether the objective is to build awareness or attract purchase. All of us should review this and then evaluate our own content, to ensure that we are including all four quadrants. Are you? Marketers can’t easily build relationships with their customers without using email or text messages. 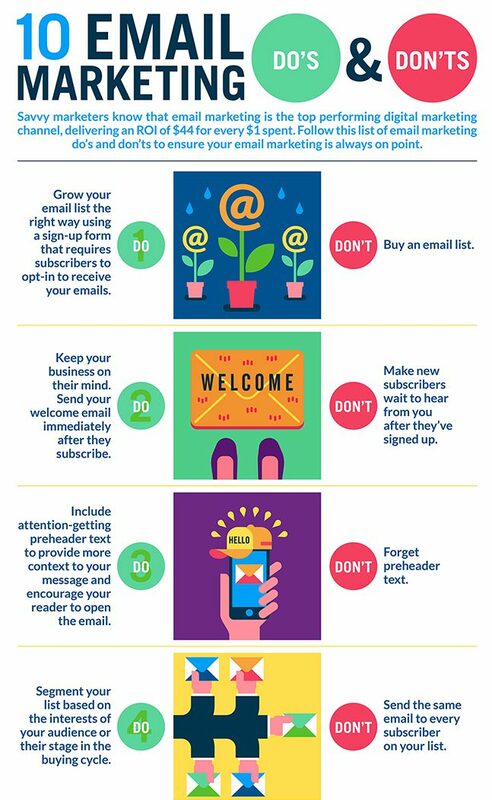 This infographic provides clear guidance on what to do and what not to do. I bet you find some things you are doing which could be improved. Leave me a comment below if your email marketing is faultless! It was said that 2017 would be the year of the video. They quickly appeared as GIFs on Twitter, and “Live” sessions, rather than just photos, became the norm for sharing on many other social media channels. Everyone seems to be doing it, including brands, so if you aren’t (yet?) you’re already behind the curve! 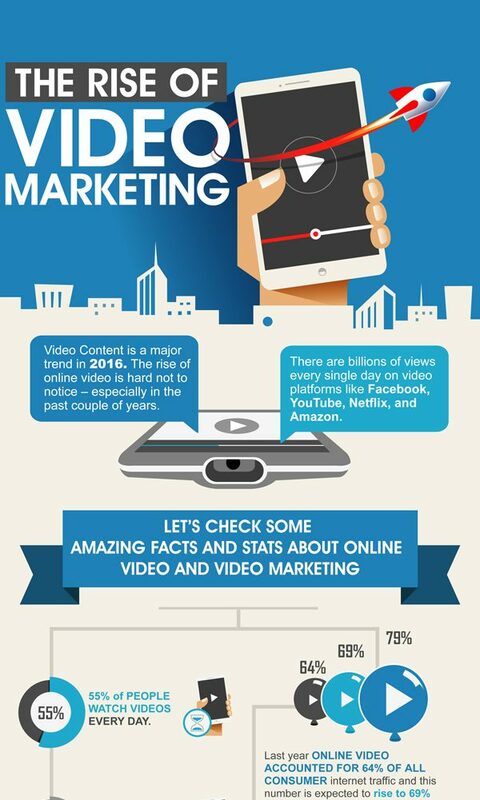 This infographic explains clearly and simply everything you need to know about getting started in video marketing. Follow these steps and your brand will soon by in the spotlight. 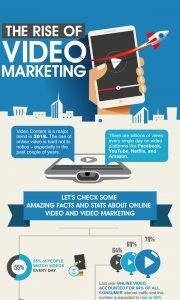 In addition to this video-maker roadmap, I suggest you also check out “Top 10 Video Marketing Trends And Statistics Roundup 2017” for all the latest statistics. If you’ve been ignoring AR in your marketing until now then you’ll have to change in 2018. Still a bit confused as to what it is and how it can help your marketing? Then this infographic will explain what you need to know. 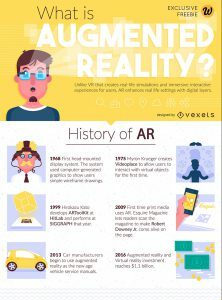 It includes everything from the history of augmented reality, to the market size and how it will impact all areas of our lives. 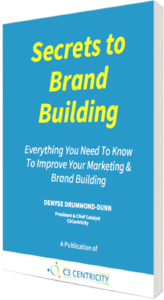 Everything a marketer needs to understand in order to make best use of it is here. While marketers are well skilled in outbound marketing, the new world of inbound marketing can be frustrating to say the least. You do the best you can and then sit and wait for things to happen – or not! 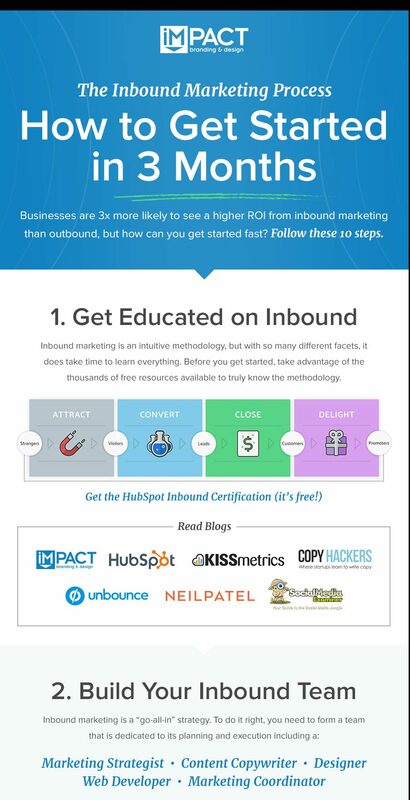 If you’ve ever been in this situation, then this inbound marketing infographic will be your saviour! It lays out eactly what you have to do over the next three months to get started or to improve your current situation. You’re welcome! I couldn’t list the best marketing infographics without including one from C3Centricity! 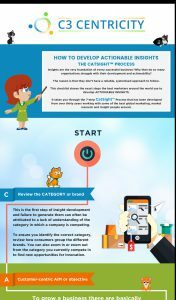 This infographic details the seven steps to insight development. What is important to notice in this process, is that it includes three steps which most organisations forget to do, which dooms them to failure! Can you identify them? Free eBook for anyone who correctly identifies them and leaves a comment below. Adopting this process practically guarantees that you develop an insight every time! Try it out and you’ll see. If you’d like to learn more about the training we offer to support your insight development, then check out our 1-Day Catalyst Training and download the brochure. All our courses are personalised to your precise needs, so they will integrate seamlessly into your current processes. This is the only way you will bring about lasting change. Few businesses can survive today without an eCommerce site or social media presence. This is why I decided to end this list with a marketing infographic that covers both. In this very thorough analysis from 16BestNet, the infographic covers everything you need to know from the history of commerce by channel, to demographics, product and brand popularity and even some sales statistics. 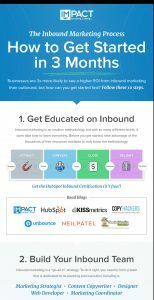 It is one of the most comprehensive analyses covered in a marketing infographic that I have found and definitely worth checking out. Of course, you should then take actions based upon what you learn from it – and there will certainly be a lot of “aha” moments as you scroll down it. So there you have them; my choice of the ten most inspiring and useful marketing infographics of the past twelve months. Is your favourite amongst them? If not add a link to it in the comments below. If you struggle to know what content, communications or engagement your customers might like and how to integrate infographics into your own marketing efforts, then let’s connect for a free, no-obligations call. 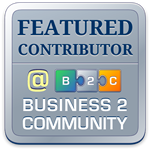 Contact me here and I’ll share some of the success stories of my local, regional and global clients. Knowledge Sharing and How to WOW! 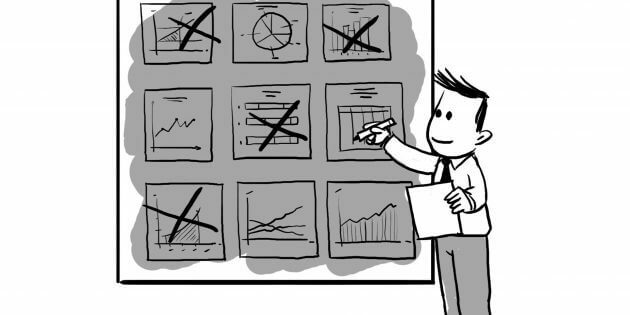 Does your Organisation Really Need a Market Research Department? And in the Future? 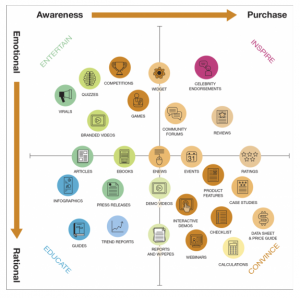 Do You Know Your Customer Journey Map & the Emotions Overlay?